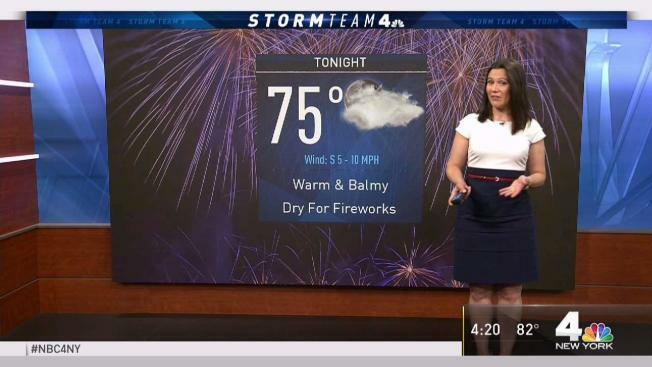 Meteorologist Erica Grow with your forecast for Wednesday, July 4. After a nearly week-long heat wave, the fourth of July brings some relief -- but it's still muggy. Heat warnings that have been in place for several days have since expired, but advisories will remain in effect for much of the tri-state until 9 p.m. Wednesday. Check all severe weather alerts here. Even though the heat wave will technically end today in the city, it will stay humid through the end of the week. The Fireworks Spectacular should be dry on the East River, but it will stay very warm and muggy. Conditions will continue to stay very muggy and mostly cloudy overnight with lows only settling in the 70s again. 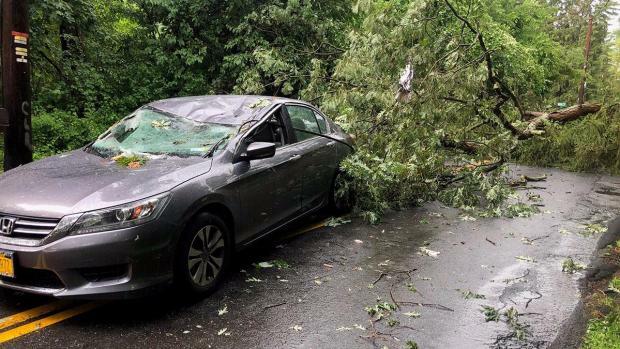 Severe weather was moving across the tri-state Tuesday as the region continued to suffer through yet another day of boiling temperatures. Marc Santia reports. Thursday will be very similar to Wednesday, and then we’ll finally get relief from the heat and humidity in the form of a cold front on Friday. Expect numerous showers and storms, followed by a cooler and less humid pattern for the upcoming weekend. New York City's medical examiner says one death has already been attributed to excessive heat: a person found dead in a parked car in Whitestone, Queens, last Friday died of hyperthermia, the office said. The longest heat wave ever recorded in the city was back in August and September of 1953, which lasted for 12 days. Heat waves are the deadliest weather hazards in the U.S., with 134 fatalities annually over a 30-year average, compared with the second deadliest hazard floods (30-year average is 85). Anyone particularly vulnerable to the heat is advised to stay indoors as much as possible or take adequate precautions. The city also says people should make sure to check on elderly neighbors and make sure their pets are protected. Cooling centers and NYC pools are open and available to catch much-needed relief from the dangerous heat. The sweltering heat subsides over the weekend with highs peaking in the low 80s and dipping below 70 degrees in the night.